Please safeguard this card as we cannot replace it if lost or stolen. The Card does not expire or accrue fees. Except where required by law, this card cannot be refunded or redeemed for cash. Where prohibited by law, you cannot use this card to pay for alcoholic beverages. Use of this Card constitutes acceptance of these terms and conditions. Card only valid in the United States and Puerto Rico. Not valid in the state of New Mexico. This card is subject to all state federal laws and regulations, which may change from time to time. Therefore the terms and conditions affecting this card are subject to change without notice. Cards have no value until activated by cashier. 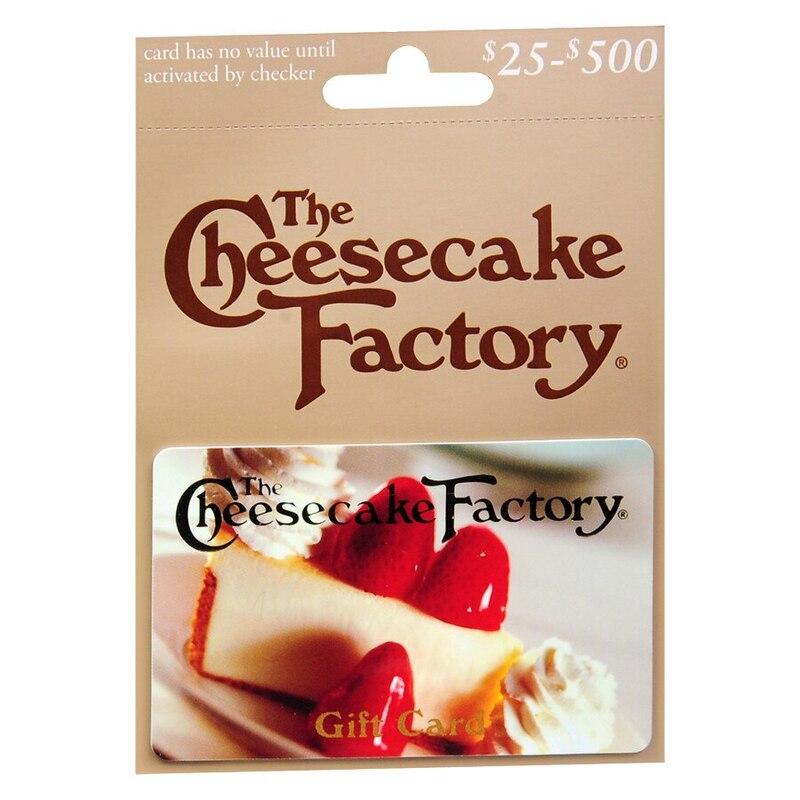 To find The Cheesecake Factory restaurant nearest you, check the balance on your gift card or shop online, please visit us at thecheesecakefactory.com. You may also check your gift card balance by calling 1-888-891-2429.. © 2012 TCF Co LLC.